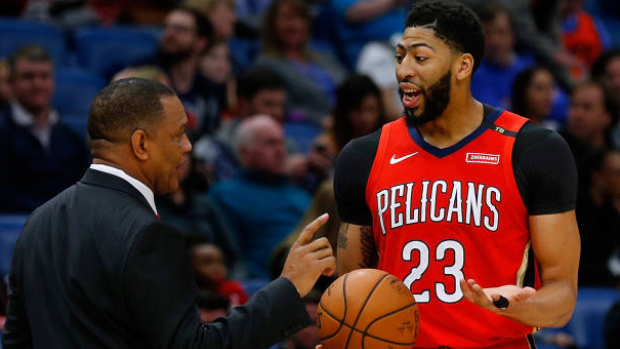 NEW ORLEANS — Anthony Davis grimaced and didn't move his left arm as he walked off the court at halftime. "A couple of them was in and out where it felt really good. A couple of them I wish I could have back," said George, who also gave Holiday credit for his defensive effort. "He's scrappy and he takes pride in defence. Not a lot of guys do. I have the utmost respect for his approach and how he defends and wants to play defence." Pelicans: E'Twaun Moore intentionally fouled Ray Felton so he could check out of the game and limped to the bench favouring his left knee with 31 seconds left in the first quarter. He returned in the second quarter and finished with 15 points. ... Jahlil Okafor scored 12 points. ... Gentry said before tip-off that guard Elfrid Payton is expected to return from a right ankle sprain after the All-Star break. "I didn't know I was close, honestly. So that's crazy, man," Westbrook said. "Just truly honoured and blessed obviously to be in one place, organization. To be able to be the all-time leading scorer in a place is a pretty big accomplishment, I must say, so I'm just truly thankful and humbled."